Looking for information about Lenox Court homes for sale in Atlanta? If so, you’ve come to the right place! Lenox Court is a small single-family home community located just off Lenox Road across from the Plantation at Lenox townhouse development, and just south of Stone Gate on Lenox. Above all, the fabulous curb appeal of each and every home in Lenox Court tends to stand out most to potential home buyers thinking about a move here, as each residence inside the Lenox Court community is pristinely landscaped and maintained. In addition, homes for sale at Lenox Court also have a solid brick exterior that blends in perfectly with the surrounding area, which for the most part is mostly all residential and features some of Atlanta’s most luxurious and most sought after townhouse, condo, and single-family home communities. For additional information about Lenox Court homes for sale, contact one of our local real estate pros with The Zac Team today; or begin your Lenox Court home search now by clicking the link below to start viewing active home listings currently featured on the MLS. Listed below are recently closed sales at Lenox Court. Whether you’re thinking about buying or selling a home at Lenox Court, checking to see what other comparable properties have sold for in recent weeks and months provides helpful insight into current market conditions within the community. For more information about Lenox Court homes for sale or for a complete list of recent homes sold in the neighborhood, contact The Zac Team today! 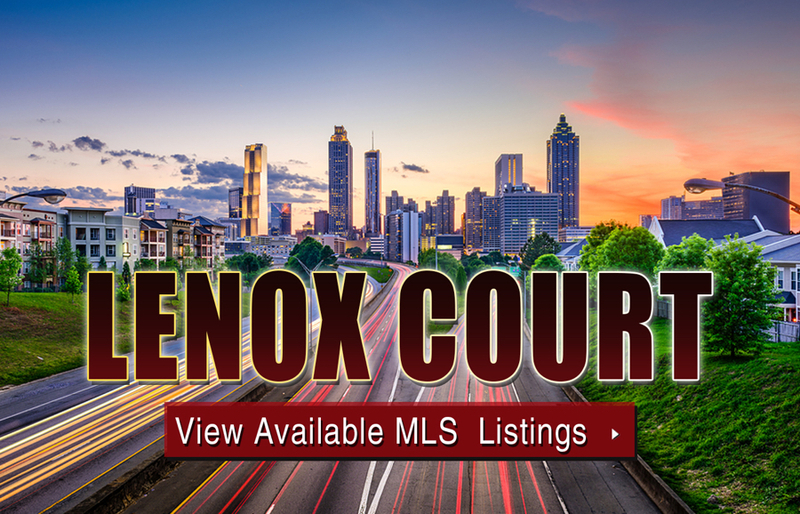 Can’t find what you’re looking for in Atlanta’s Lenox Court? Start browsing other Atlanta real estate for sale or give the Zac Team a call at (404) 564-7200 for help with your new home or condo search today!